Steve is an accomplished business and senior human resources executive with a track record of successfully working with leadership teams to drive business results in diverse industries and global business environments – including highly regarded blue chip companies, startups, and a turnaround. He has held executive positions with some of the world’s most successful and iconic companies, including The Walt Disney Company, PepsiCo, and Honeywell. He is a highly effective and trusted partner to senior executives and others and is known for bringing creative and practical solutions to both the strategic and the operating human resources challenges facing an organization. After a distinguished corporate career spanning nearly four decades, Steve is now primarily focused on developing the talent and potential of the next generation of business leaders. He is currently President of Milovich Partners, a strategic human capital consulting, advisory and executive coaching company. He is also a Strategic Advisor for The Boston Consulting Group, is an Executive in Residence and Senior Lecturer in The Huntsman School of Business at Utah State University, and is on the leadership team of The Hudson Institute of Santa Barbara. Prior to beginning his second career, Steve held the position of Senior Vice President, Global Human Resources, Talent and Workforce Diversity for The Walt Disney Company’s Disney | ABC Television Group. He had responsibility for all aspects of human resources and executive compensation for the ABC Television Network and ABC Studio, Disney Channels Worldwide, Disney Junior, Disney XD, Freeform, Radio Disney, Disney Television Animation, Disney/ABC Domestic Television, Disney/ABC/ESPN international distribution and ABC's eight owned television stations and served as a strategic advisor for joint ventures with A+E Networks and Hulu. He led numerous initiatives that increased the engagement and efficiency of the organization and its workforce, as well as the attraction, development and retention of key talent at all levels. He began his career with The Walt Disney Company in 2002 as Senior Vice President of Corporate Human Resources, Organization and Leadership Development. Steve had global responsibility for leadership and employee development, the HR aspects of acquisitions and JVs, organization development, talent planning, employee communications, talent acquisition and The Disney University. 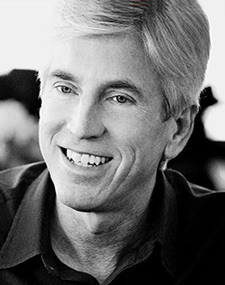 Before he joined The Walt Disney Company, Steve held executive human resources positions at PepsiCo, Walker Digital (which developed Priceline.com), Honeywell and Macy’s/Broadway Stores. He began his career at United States Steel Corporation, holding management positions in employee and labor relations. Steve’s functional expertise includes global human resources strategy, change management, organization development, a workforce of the future, talent acquisition, and leadership development and coaching. He has served as a coach and mentor to numerous executives in the U.S, Asia and Europe, helping them improve both their personal and their organization's effectiveness. Throughout his career, Steve has also developed and conducted a variety of organization and executive development workshops. Steve is a member of the Board of Directors at the Institute of the Future in Palo Alto, Calif. He is also a member of the advisory boards for two startup companies: Clear Force and Flerish. Steve sits on the Corporate Advisory Board of the University of Southern California’s Marshall School of Business and is an emeritus advisory board member of the USC Center for Effective Organizations. He is also a member of the National Advisory Board for the Jon M. Huntsman School of Business at Utah State University. Steve earned a bachelor's degree in economics from Utah State University and an executive MBA from Pepperdine University. He also holds coaching certifications from both The Hudson Institute and The International Coaching Federation.